I was very pleased to provide support recently for this new initiative at the University of Manitoba. This project, which has been a few years in the making, will be of great benefit to students, faculty and the surrounding community. 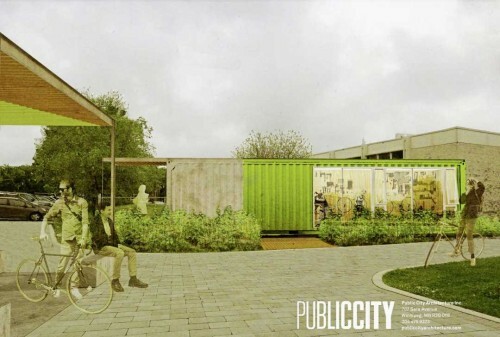 SUPPLIED IMAGE: The University of Manitoba is building a bike shop and cycle plaza on the Fort Garry campus, scheduled to open this summer. The University of Manitoba’s Fort Garry campus will be home to a new cycling plaza and bike shop come June. The project received a $30,000 community incentive grant from the South Winnipeg-St. Norbert ward at the March 6 Riel community committee meeting. The nearly $294,000 project is scheduled to be built this spring and has a tentative opening date set for this June, according to documents submitted to the City. The new cycle plaza will be located at intersection of the Curry Place Pedway and Sidney Smith St.
Lukes approved $30,000 of the $45,000 requested by the university. The project also received funding from the federal government through Canada 150 grants in the amount of $78,900. The bike shop and cycle plaza’s opening date will also coincide with celebrations marking the completion of the Trans Canada Trail. The University of Manitoba has contributed $170,000 to the project. “It’s very exciting and I’m very happy about this,” Lukes remarked. The bike shop and plaza will be home to regular workshops, races, and cycling events that will be open to the public. The University of Manitoba Students’ Union has committed to provide tools for use by the community to repair bikes free of charge and allow community organizations to book the outdoor workshop space.